✔Protect your car roof from scratches and damage. ✔keep your baggage from slipping and fall down from the roof. ✔With size at 39"x 30" that could fit your sedan,enormous SUVs or tank-like vehicles. ✔Works with roof rack crossbars, roof cargo carrier, roof basket, car top carrier and car roof storage box. 【PREVENT SCRATCHES】 The nice guardian of your car roof, keep your car roof from scratches and damage all the time, whenever you put baggage on car roof or on your way. 【ANTI-SLIP】Perfect performance on skid resistance, keep your baggage in place from slipping and fall down during your travel. Don't worry about the wet and hot weather. Our protective mat is designed to against all the bad conditions. 【WIDELY USED】Size at 39"x 30" that could fit your sedan,enormous SUVs or tank-like vehicles, you may cut or fold the mat to fit the size of your baggage. Works with roof rack crossbars, roof cargo carrier, roof basket, car top carrier and car roof storage box. Additionally, you could place our protective mat on your bookshelf, storage shelf, working table, or under your cups, storage bottles, it perfectly keep your stuffs away from slipping. 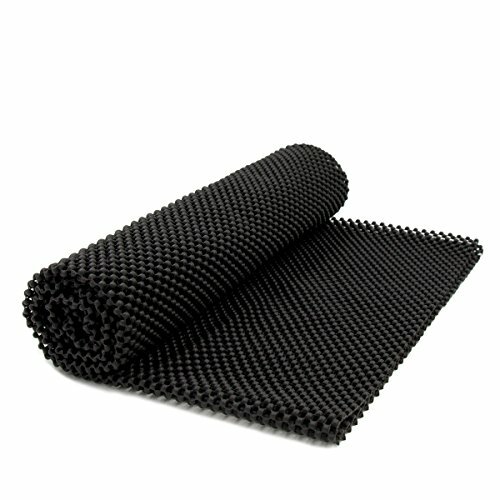 【PREMIUM QUALITY】Made of thick, non-slip webbing foamed rubber. Provides a cushion between your car roof and baggage. 【A MUST FOR YOUR CAR】It's necessary for your camping, travel, move. Don't wait anymore! Just buy out mat! Perfect design for happier life! If you have any questions about this product by Egofine, contact us by completing and submitting the form below. If you are looking for a specif part number, please include it with your message.